2014 has been a difficult year for aviation; July alone saw three fatal commercial airline crashes. Two Malaysia Airlines jets have been lost in unrelated and highly improbable incidents, resulting in the seventh and nineteenth most fatal crashes in the history of aviation. We contacted ICAO’s Nancy Graham to learn more about safety in aviation and its links with space. ICAO, the International Civil Aviation Organization, is not a household name but the organization impacts every individual who has ever set foot on a modern aircraft. “We develop all the baseline international rules for everything related to aviation safety, efficiency, security, economic development, and environmental impacts,” is how Graham describes it. And it all started with the Convention on International Civil Aviation, or the Chicago Convention,as it’s more commonly known. The Chicago Convention was drafted and signed by 52 states in Chicago, Illinois on December 7, 1944. ICAO was put in place as a specialized UN agency to coordinate the Convention’s ongoing review and refinement. Today there are 191 signatories, also referred to as ICAO Member States, to this global agreement. ICAO maintains the 19 Annexes to the Convention, publications which today contain over 10,000 international Standards and Recommended Practices covering everything from licensing rules and mapping to security and accident investigation. States reference these standards to ensure that their national regulations conform to ICAO’s baseline global requirements. This permits aircraft to operate in a harmonized procedural environment, wherever they fly. Unlike the Malaysia Airlines flight that has gripped the world’s attention since March, the second Malaysian plane to suffer a tragedy this year was shot out of the air on July 17. The investigation into this incident is just beginning, but so far there is no reason to suspect any technical or procedural failures were involved and nothing to link it to MH370, the flight that mysteriously disappeared on March 8. To address this infrastructure challenge, many aircraft carry equipment capable of satellite based telecommunication, however, they may not have registered for a data plan, to use a mobile phone analogy. That has implications for both air traffic management and global tracking of aircraft. ICAO is already working towards planned improvements to global tracking that were underway well before MH370 took flight. The first thing to understand about global tracking is that it is entirely separate from air traffic control. What’s the barrier to doing that? “I don’t think there is a barrier today, actually. Up to this point it was assumed that the air traffic control system was adequate enough.” Whatever remained of that assumption following the anomaly of Malaysia Airlines Flight 370 was further challenged by the brief disappearance of Air Algérie flight AH5017 on July 24, over land in bad weather. 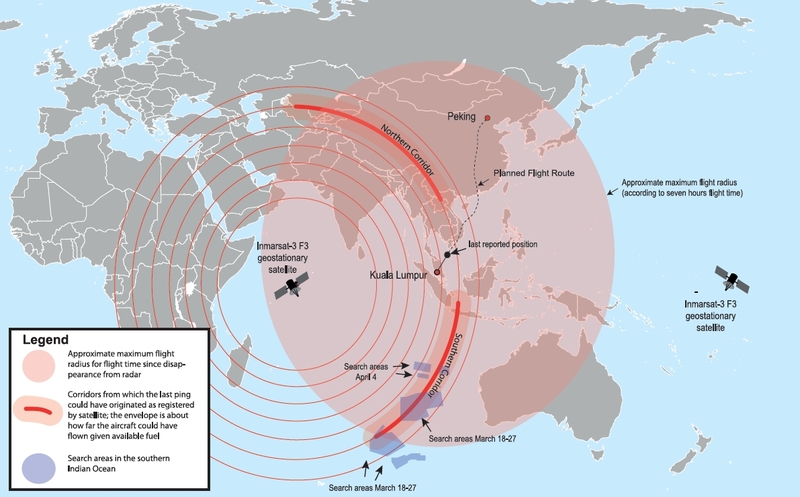 Improved tracking can help find a lost plane like MH370 after it has crashed. But what about better traceability for aircraft in flight? “In the longer term we will be expecting to see all aircraft and all air traffic control systems be satellite based,” says Graham. Some countries are transitioning to satellite-based ADS-B already, but it will not be universal for another five to eight years. None of these measures would have prevented the loss of MH370, whose flight crew broke procedure, or MH17, which was targeted by missiles in clear violation of international law. There are some things that technology can’t fix. 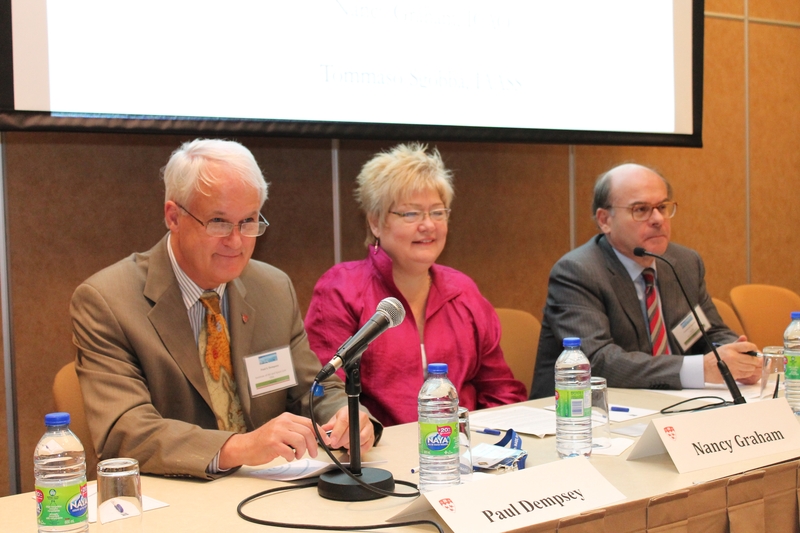 Institute of Air & Space Law Director Paul Dempsey, Director of ICAO Air Navigation Bureau Nancy Graham, and IAASS President Tommaso Sgobba at a REMAT conference panel (Credits: Tommaso Sgobba). Graham concluded by stressing that ICAO has a 70 year history of forging global consensus on airspace cooperation. Commercial space may well be the logical next step for the UN aviation body.